A wider blade might mean more weight, but in a throwing knife, that is not such a bad thing. 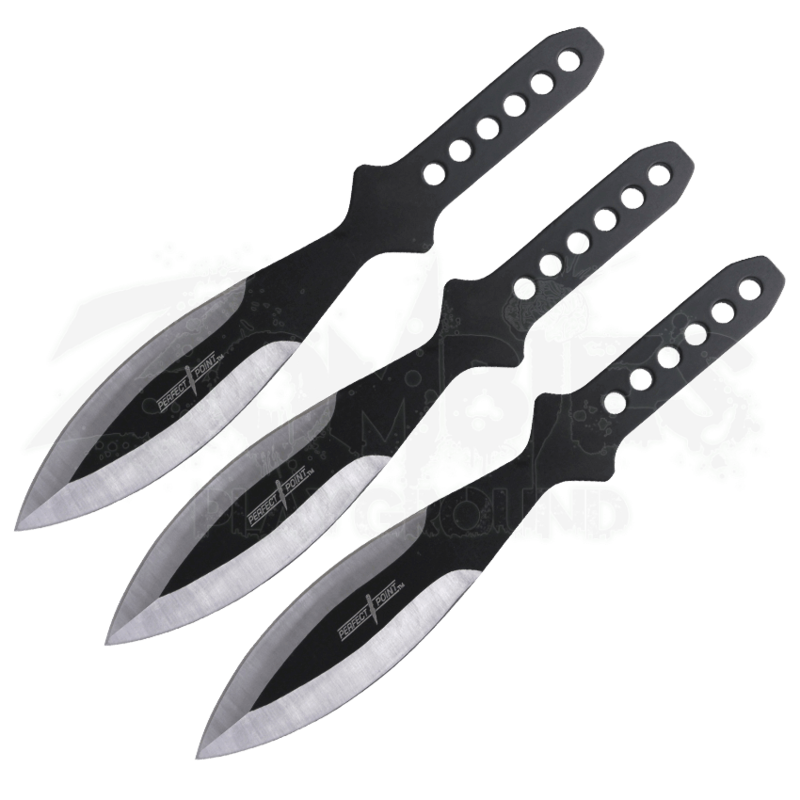 It makes this Black Leaf Blade Throwing Knife Set a great choice, as the wider, heavier leaf blade is reliable and incredibly effective. Almost like a gladius, these knives feature broad, rounded blades that curve forward and end in wide, effective points, ensuring that when the knife hits, it hits point first and it hits hard. Each knife is made from a solid piece of stainless steel, as well as featuring a black finish that covers all but the sharpened edge of the blade. The grips are simple but effective, providing a secure hold for throwing, while also featuring several circular cut-outs, which add some style to the blade while also altering its weight and balance, making the blade heavier to ensure a proper throw, a proper flight, and a proper landing. 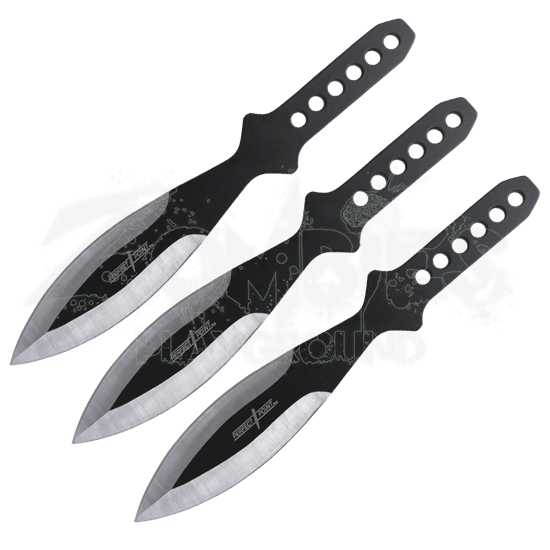 The throwing knife set includes a nylon sheath that is perfect for holding all three knives at once, whether at your side or stored safely away. The knives each measures approximately 9 inches long. Novices and experts alike will find this Black Leaf Blade Throwing Knife Set to be to their liking, as experts will enjoy the heft and weight of a knife that hits hard, while beginners will find that while heavier, that added weight helps put the point into the target reliably.